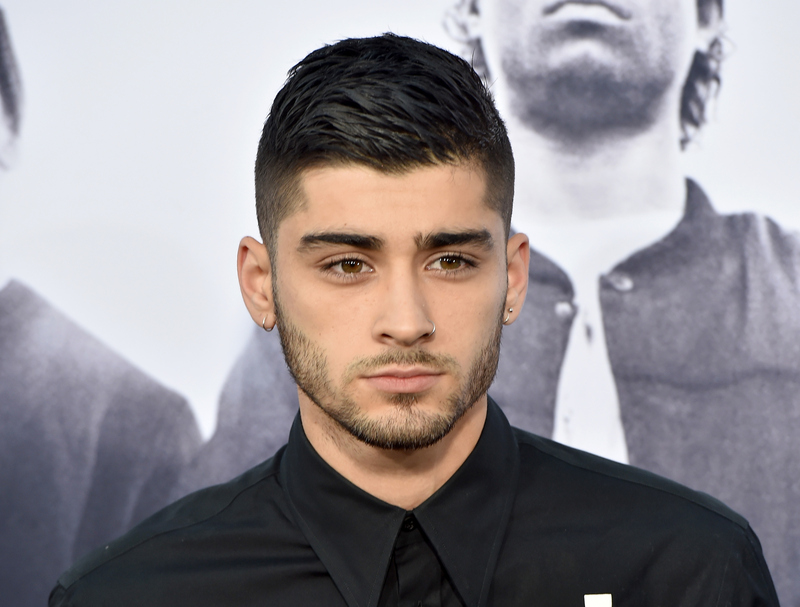 Zayn Malik fans, prepare to be on the edge of your seat again. After the release of the sultry, enigmatic "Pillowtalk" — and corresponding video — the singer doesn't appear to be slowing down anytime soon. Early Tuesday morning, Malik tweeted a teaser for a new song. The clip features Zayn, close up to the camera, bobbing his head to his own tunes as they blare on in the background. The song, which I'll call "Late Nights" for now since that's what he annotated on the video, seems to be in the same vein as "Pillowtalk." That is, it's an electronic, down-tempo R&B kind of production. The only lyrics I can really make out are: "So late nights, red eyes and...?" OK, I'm unclear on the last part. There are so many questions to be asked. Why did he tease this at 3 a.m.? Where is his shirt? Why is it in black and white? Who/what gave him red eyes? Is this a breakup song or an ode to drug use? (We know, Zayn, you've grown up! You're shedding that 1D image as rapidly as you can. We hear you.) But the most important question — the one I'm sure we were all immediately dying to ask upon viewing this clip — is when will "Late Nights" come out in full? Malik's first solo album, Mind of Mine will be released on March 25 of this year, but I doubt we'll have to wait that long to hear "Late Nights" in its entirety. In fact, it could be gifted to us any day. Just look at what happened with "Pillowtalk." On January 24, Malik posted a teaser photo for the jam to Instagram and Twitter, and then, on Friday, January 29, it dropped. Just like that. Now, of course, the "Pillowtalk" teaser had an actual date on it, so fans knew what to expect. The "Late Night" twitter video, unfortunately, doesn't give us any concrete release info, but I'm not opposed to speculating that it could come out within the next few days if it follows the same trajectory as "Pillowtalk." If Malik decides to wait a few weeks until giving us the whole thing, though, that's cool too. (I guess.) Just please, Malik, if you're listening, don't wait until March 25, OK?